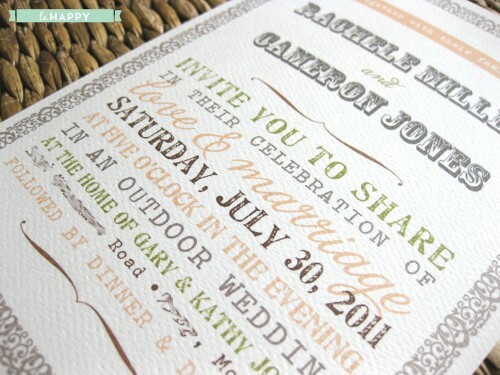 I am so excited to share these vintage, rustic inspired custom wedding invitations with you all today! 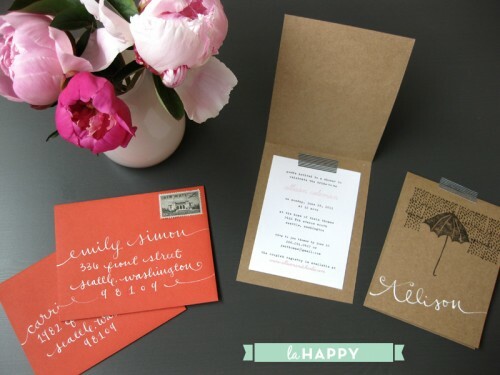 I so so so enjoyed working on these adorable invites. The bride was a dream to work with and was so clear in her vision for a sweet, vintage, rustic inspired wedding. I love the finished product! These invitations, RSVP cards and information cards were printed on a beautiful, off white, textured, felted paper. 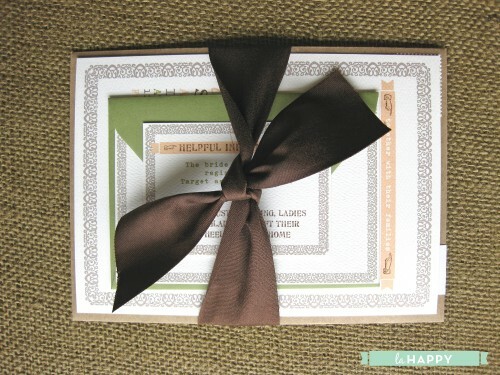 The envelope is made from recycled brown paper bags and the RSVP envelope is a beautiful sage green. I love the bride and groom’s earthy color palette. 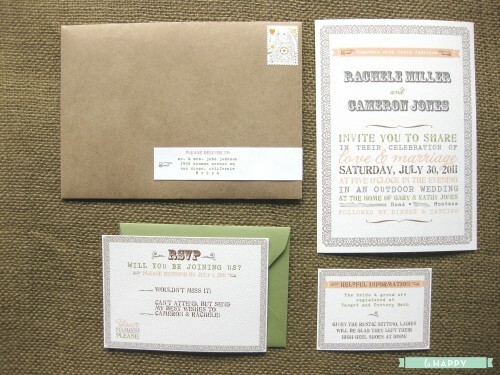 The soft peach, sage green and browns are beautiful together and make for a unique invite! I also love how perfectly my favy King and Queen Love stamps from the post office look with the color palette… hint hint…don’t skimp on stamps! They are an IMPORTANT part of your invite set (why go to all that trouble to design beautiful invites, just to stick a boring stamp on them?!). If you can’t find what you are looking for design your own custom ones! 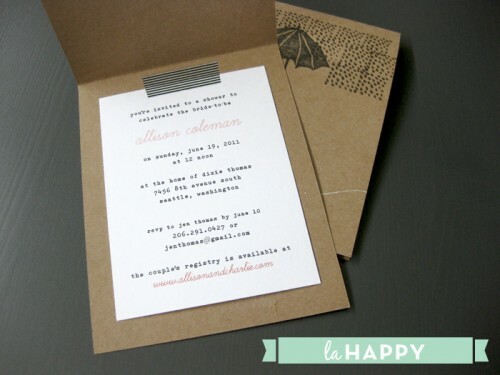 Want to dream up some beautiful custom invites of your own? Contact me and let’s talk! Less is usually more, it’s true. The other day I was poking around one of my all time favorite blogs Oh So Beautiful Paper for some inspiration when I happened upon these jaw dropping invites from Cheree Berry. I love them so much because they incorporate all of my favorite things. 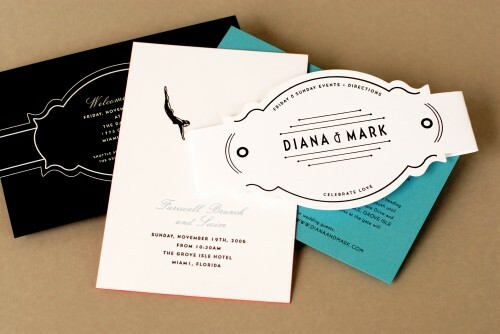 Thick rich paper, simple colors (look at that hint of color on the sides of the invite! ), art deco feeling, beautiful artwork and rich black ink. I am in paper love right now over these! I mean just look at that adorable diver! I am in love with these sweet little invites I recently created. 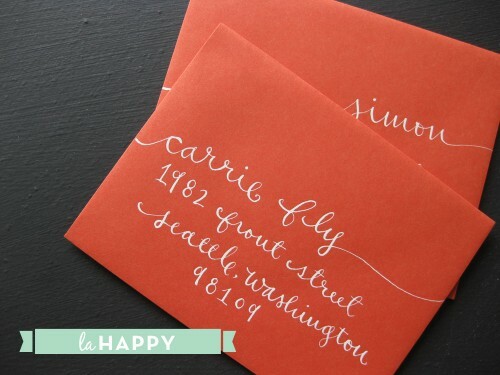 I am loving details in white right now, like the hand lettering I did. 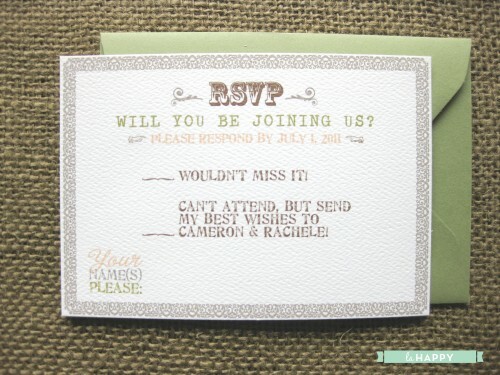 The invites are sweet but not overly cutesy and feminine. They were created for a summer bridal shower but they would be adorable for a baby shower as well! 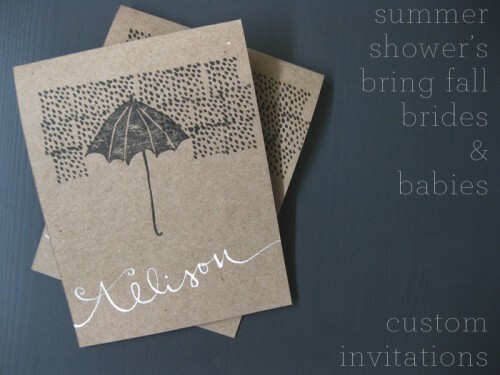 I love summer showers because they bring fun things like brides and babies!